I recently took a look at Vizify – another of the many ways to have your profile available online. It’s pretty interesting, although I can’t quite do everything with it that I would like to. Still, it has some promise. Click the graphic to view my page. Here is a very short demo of some of the features of Screencast-O-Matic. I’ve used at least 8 or 9 different screencasting tools. Some of the very expensive services are quite good, but if you’re looking for free – start with Screencast-O-Matic (SOM). It’s incredibly simple to use. Lots of educators like Jing, but I’d choose SOM over Jing based on functionality. It’s a web-based tool, but it does give you the option to download an applet that will allow you to make screencasts even when offline (both PC and Mac). They have been rather prolific at introducing new features to the service. At this rate, they are well positioned to continue to be the leader in web-based screencasting. NOTE: I’m a big fan of web-based tools in general, where there is no software download or install. This is a major benefit when working with students and having them capture screencasts of what they’re doing. I’m not saying it’s better than the expensive programs that are out there – but I am saying that it is a great, inexpensive, and easy-to-use screencasting tool. 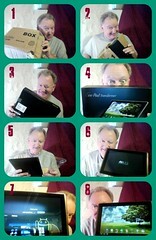 I bought an ASUS Transformer back in August, 2011. My post at that time was titled “Lovin the Eee Pad. 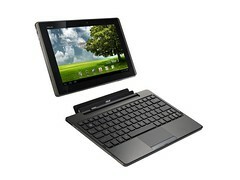 So far” and covered my initial thoughts about the Android-based tablet. The more I use the Transformer, the more frustrated I get with the things that I cannot do. This was much the same as the frustrations that I felt as an iPad owner (although none of the current frustrations relate to iTunes running my life – I’m iTunes free!!). I keep trying to love the tablet form factor, but it still seems like a high-priced toy more than a productive technology tool. I just went away on a 2-day trip and decided to make do with only the Transformer, leaving my laptop at home. I had several frustrations along the way, but mostly I could get things done that I wanted to. However, it really helped knowing that I would be home soon where I could be much more productive. I really don’t think I would rely on a tablet if I was going away for a week or more, unless my intention was to be totally disconnected and not working during that time away. Several ports – including two USB and one SD card reader. VGA connector is now available for about $30-40. I bought one and it works. Keyboard is generally good to have. It doubles as a protective case and greatly extends battery life (see below). Asus is fairly aggressive about pushing out Android updates – which is usually a good thing (or not, see below). Great for playing some games (Kill eight pigs with one bird?). Works great for simple tasks – such as checking email or catching up on Twitter via Tweetdeck or Tweetcaster. The screen resolution seems very good. Great picture when streaming Netflix or Hulu, watching YouTube HD videos, and playing games with high-quality graphics. My kids think it’s very cool (they’re kids, nuff said). Connections to known wifi networks are quick and successful. Very tinny external speakers – you must use headphones or auxiliary speakers for music or any other audio. The cameras are pretty crappy. The front-facing camera is 1.2 MP and I rarely use it. The 5MP auto-focus rear-facing camera is completely under-whelming. Especially indoors, the photos are grainy and of extremely low quality. In very well-lit (outdoors) settings you’ll get somewhat better photos, but they have little detail, little contrast, and just an overall muddy feel to them. Most pics are downright ugly. The keyboard is kind of wonky – especially the touch pad – while typing, the cursor is constantly jumping to other parts of the page – I guess that’s because my wrist or palm brushes against the touch pad (even when I don’t feel it). The metal covering of both the ePad and the dock is very slippery and hard to hold on to. It “looks” like it would be a great “grippy” surface – but those looks are deceiving. Not all Android updates are great – including the much-awaited 4.0 ICS (Ice Cream Sandwich), which seems very buggy, causing the Transformer to reboot a few times a day for no apparent reason. BTW, almost all Transformer user are ticked about this – see the Forum posts here. The boot time is less than impressive; about 40-50 seconds from a cold start. You need to boot from a cold start unless you are a very frequent user as well as a frequent charger. Even though it touts 12-15 hours of battery life (with the keyboard dock), that seems to include “sleep time” (push the power button to darken the screen and close the top), when you think that it should be conserving battery power. If you leave it in this sleep state for a while (presumably 12 hours or more), you can expect a totally dead device when you are ready to use it again. This seems like a bug, not a feature. Some people are reporting that this battery drain only started for them after they installed Android ICS (late Feb. 2012) – but it has always been that way for me. The browsers are crippled. Firefox on the tablet is a very poor tool. Even the native browser, which is similar to Google Chrome on a PC, is not very full featured. As if the weak browsers aren’t bad enough, many sites are apparently coded to kick you into their mobile version even though the screen is large enough for full versions. Most of the time I hate this. For the life of me, I can’t get the flash player to install properly – and I’ve tried about 20 times. Flash is one of the main reasons I chose an Android tablet over the iSpaz. I need to research this because there is probably a work-around – but I’m expecting it to “just work!” NOTE: YouTube videos do play with the free YouTube app, but most sites that use flash simply do not work in any of my four browsers. Incredibly short power cord. Heck, the cord for my cell phone is twice as long. Some combination of wonky browsers and possibly the flash player recently caused me a great deal of angst. Trying to access a particular app on Facebook proved to be impossible, even though I tried with four different browsers (2 of which just constantly crashed – Opera Mini and Dolphin browser), and at least 15 times. On my laptop, this was a seven second operation. Not sure who to blame it on, but overall I was not a happy user. Overall, I do prefer the Transformer to the iPud – for various reasons. But, as you can probably tell, I’m not very enamored with either of them. My HP TouchSmart convertible tablet (a full powered PC, with touch screen, stylus, Win7, and superior ease-of-use) is about ten times better, albeit considerably more expensive as well. YMMV. I had the pleasure of presenting at the annual Adjunct Appreciation Dinner at St. Clair County Community College (SC4) in Port Huron , MI. This is both an appreciation dinner and a night of professional development for the adjunct instructors at the college. My topic was Myths and Realities of Teaching with Technology. I’ll post the slides soon, but here are most of the links that I referred to during the address. 13) Digital Net-Gennials (whatever) – so many sources, so little time. Try these two. I have contributed to Jane Hart’s Lists of Top Tools for Learning each year since she started doing this five years ago. Her 2011 list will be finalized soon with contributions from people all over the world. Listed below is my newest Top 10 list of tools, with short descriptions of why they made the list. Twitter stays at No. 1 for my Top Tools for 2011 for Jane Hart's year-end list @C4LPT http://t.co/RyvlUZUz It's the network, not the tool. Twitter. Stays at #1. Still the most valuable online tool I’ve ever used because it’s the place where I able to build the most valuable network of educators. Connect that same network of incredibly smart people into a different tool, then that tool will be #1 on my list. WordPress. 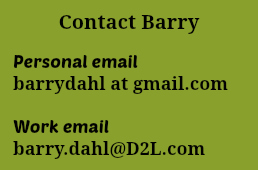 I use WordPress.com for my main blog at http://barrydahl.com and during the past year I also created a new business site that is run on WordPress as well (see Excellence in e-Education). The themes, plug-ins, and other extras that are available make it a highly customizable tool. Google Plus (G+). This is a new entry on the list (obviously, since it didn’t exist last year). I’ve been surprised at how functional this young tool is – and how I’ve been connected to a whole new batch of educators through it. I find that I’m spending more and more time there and learning about things that I’m not always seeing in my other educator networks. YouTube. For both me and my kids, YouTube tends to be one of our first stops when we want to learn something. I post many of my own videos here, but I primarily find it to be a fabulous resource for all kinds of content, including educational videos. Picnik. I keep coming back to this super easy-to-use photo editor that integrates so nicely with my Flickr account. This is one of the few tools that I pay a fee ($25 a year) to get the premium service. Now my daughter is also hooked on using Picnik – in ways that only a 15-y-o would find fascinating. Zoho Notebook. I keep waiting for another tool to come along that has the functionality of this one – but that just hasn’t happened. Find another tool where you can make a series of webpages, with any kind of web-based content on any page in any location. It’s really amazing. Flickr. I continue to pay for the pro version ($25 a year) of Flickr because it is my main and almost only repository for digital pics and other graphics. As of 11/3/11, I have 4,520 items stored there. Almost all the graphics used on my websites are served from Flickr. Screencast-o-Matic. I’ve tried just about every screencast tool that is out there. There are lots of good ones and some that are not so good. We also lose a couple of them every year to the dead pool. Screencast-O-Matic has hung in there over several years and just keeps getting better. This year I decided to support them by paying for a pro account (only $12 a year) which gives me access to editing tools, scripting, and offline use. They’ve recently added a feature that allows you to make animated GIFs as well as the standard screencast movies that can be stored on their servers, downloaded locally in various formats, or uploaded to YouTube. Toondoo. I make comic strips fairly often and encourage educators to include more of them in their teaching and learning. This is still one of the most popular tools in the Web 2.0 workshops that I provide at different colleges and universities. Toonbooks are very fun and can be used to deliver educational content that is certain to get the attention of students. Facebook. This stays on the list as I still have quite a few educators in my “friends” list. 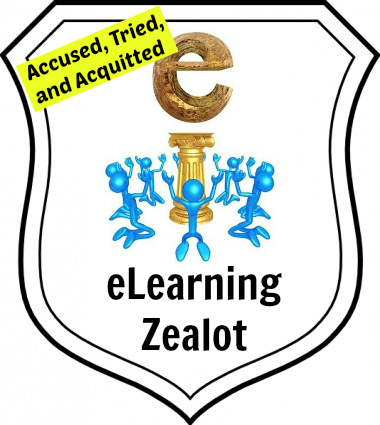 I also use it with my new business (please “Like” Excellence in e-Education!). I’ve also enjoyed reconnecting with old friends and college buddies, but that’s not why it’s on the list. The main thing that fell off my list this year would be the following (this is what I said about it last year). Android OS & Apps. This could have been higher on my list. I love my Droid, but mainly for all the things that Android and the plethora of useful (& mostly free) apps can do for me. First time I’ve felt like I have a computer in my pocket. Soon I’ll post an update about how my relationship with Android has changed over the past year. Let’s just say it’s not pretty. New feature released today at Screencast-O-Matic. Make an animated GIF. Here’s just a goofy little thing I recorded to try it out. BTW, the window cleaner overlay is mine, not from their site. Here’s a little video they made about animated GIFs. Here’s some info about the rest of their new features. They also have a new service called Quick ScreenShare. This is what they say about it. No registration required and completely free. Nothing to install for sharer or sharee (assuming you have Java). Even lets you remotely control mouse and keyboard! This free service is a side project from the creators of Screencast-O-Matic.com and is still in BETA. We use it extensively for remote user support and collaboration. The current version creates a direct peer-to-peer connection, so if you’re on a super duper secure school or company network it may or may not be able to connect, but in most cases you’ll find it works quite well so give it a shot! Barry: yep, I’ll have it to give it a shot. In case you missed it in the news last year, I was an unhappy iPad owner. Bought version 1 and found it to be just an expensive toy with very few features and incredibly overpriced. But that’s just me. Clearly. I found some sucker to take it off my hands (thanks Witt), and continued on just fine with life after the iSpaz. During that same time frame I was loving my Droid phone – and have found the Android OS to be what I want it to be – which really just means that I’m not tied to Apple and the much-hated (by me) iTunes. So I’ve been keeping my eye on the many different Android-based tablets that have been coming out. I was taken by the Toshiba, interested in the IBM, and amazed by the ASUS (Flickr-CC photo at left by blogeee.net). 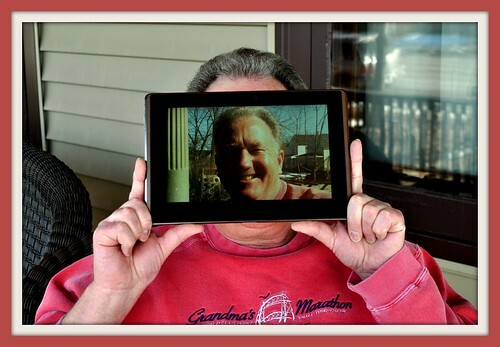 I figured that amazement was better than being taken or just interested – so I got transformed by the Asus Eee Pad Transformer. Here’s a little collage that shows my delight in getting it ready for use. Click on the graphic below to enlarge it. Apps: I was surprised to find that it automatically installed all the apps that I have on my Droid. That was a great time-saver for me because I would want most of them on the tablet as well. What are my first-day beefs with the EeePad?